Hiking in Crete is the favorite activity of nature lovers who choose the island for their holidays. The European E4 path crosses Crete from one end to the other, offering to hikers really amazing experiences. 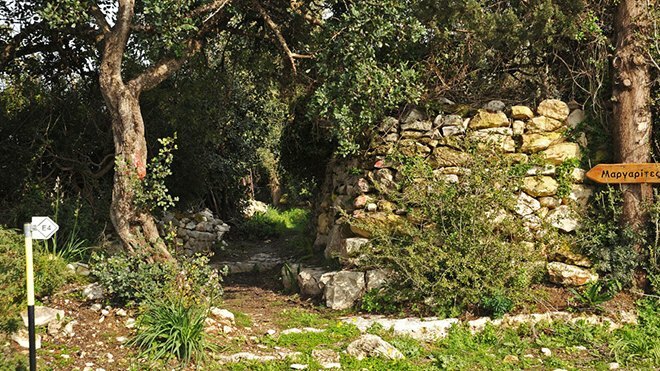 The part of the E4 Rethymnon path, presented in this post, starts from the historic Monastery of Arkadi, continues to the ancient city of Eleftherna and finally, ends in Margarites village. 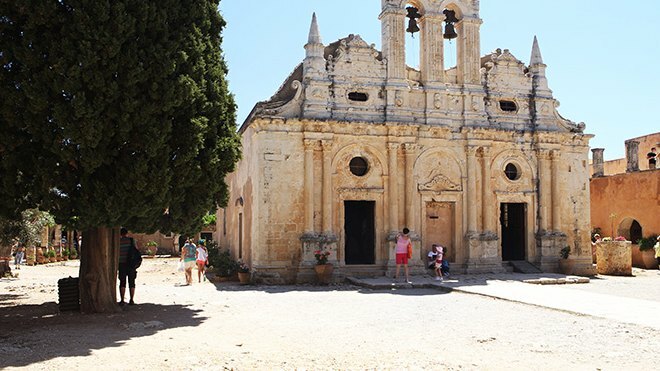 The highlights of the specific route include the Monastery of Arkadi, the ancient necropolis and Roman cisterns of Eleftherna and the traditional stone houses of Margarites. The route has a length of 12 km. and you will need about 4-5 hours to cross it. 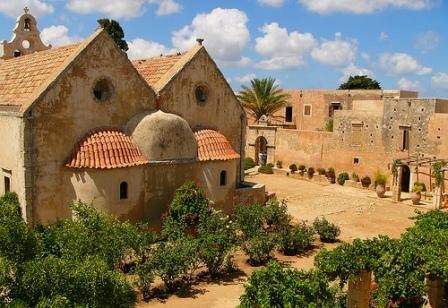 Arkadi Monastery is one of the most impressive and the most famous monasteries in Crete. It will remind you of a fortress, because of its architectural structure, its size and its history. It was founded in the early 13th century by a monk, named Arkadius. Its two-aisled temple is dedicated to the Transfiguration of Christ and the Saints Constantine and Helen. 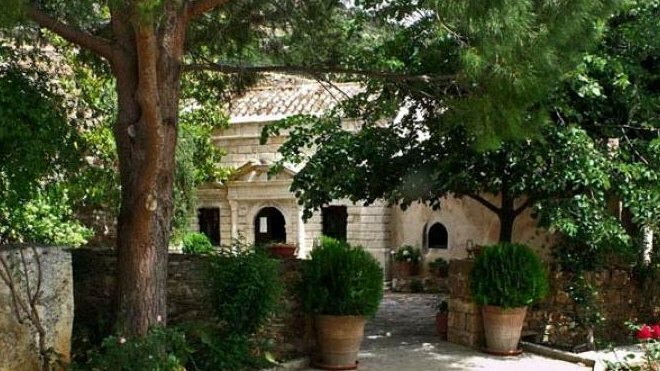 In 1866, the Cretan rebels being in the Monastery, sacrificed themselves by blowing the gunpowder storeroom, during the siege of the Monastery by the Turks. The “Holocaust”, a great fact of heroism and sacrifice, became a landmark in Greek and world history, changing the fate of Crete. 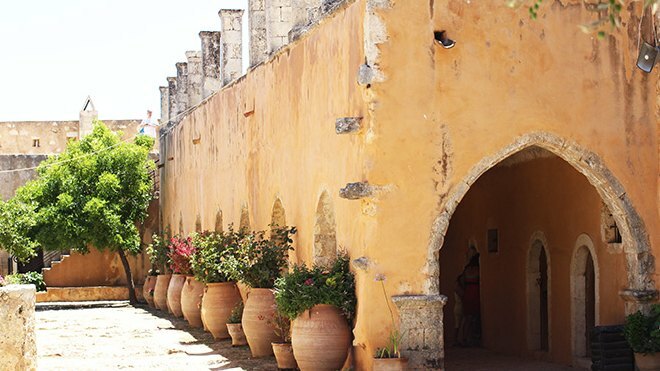 We would recommend you to wander in the interiors of the Monastery: the church, the museum and the historic gunpowder storeroom. 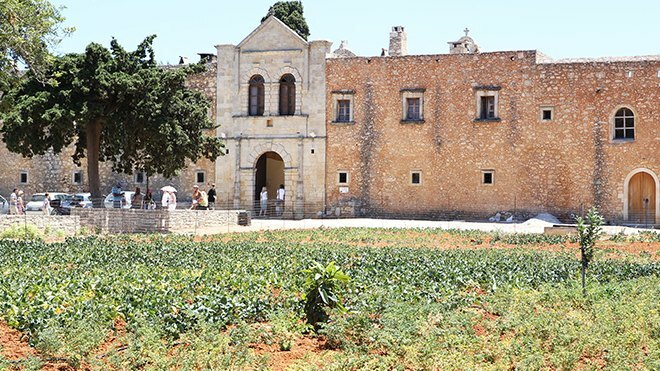 You may also stroll in the courtyard of the Monastery, admiring the wonderful groomed flowers. Relax in the cafeteria located outside the Monastery, admiring the wonderful views, the vineyards and the pine forest. 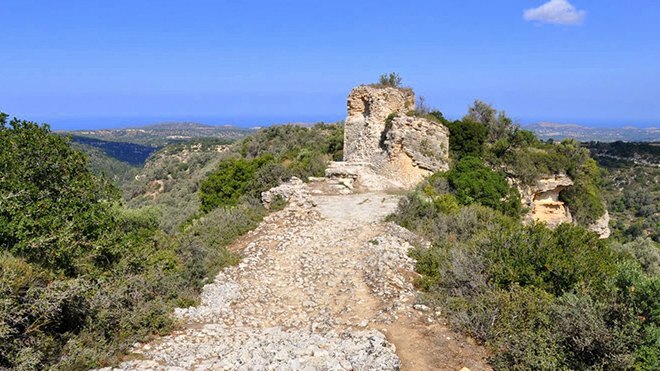 From Arkadi, head to the east, on the country trail towards Margarites village. After a while, you will find the E4 Rethymnon path, connecting Arkadi with Eleftherna and other villages of Mylopotamos. 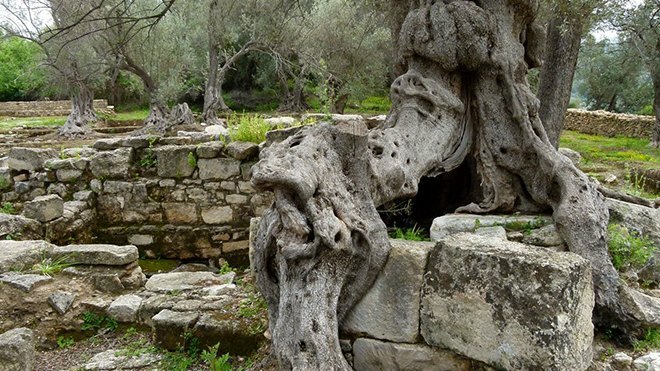 After a half-hour hike, you will come across the ruins of the old Byzantine church of John the Theologian and various buildings, while a little bit further, you will find a spring with cold, refreshing water. A few meters to the right, on a large rock, you can visit the sculpted cave church of St. Anthony. 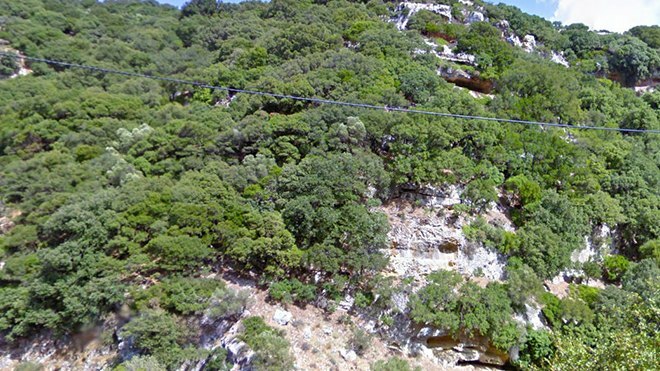 This part of the hiking route is spectacular, with deep ravines full of oak trees, dryads, pines, olive trees, walnut and other fruit trees! Following the black-yellow signs of the E4 Rethymnon path, you will reach the Roman cisterns of Ancient Eleftherna. 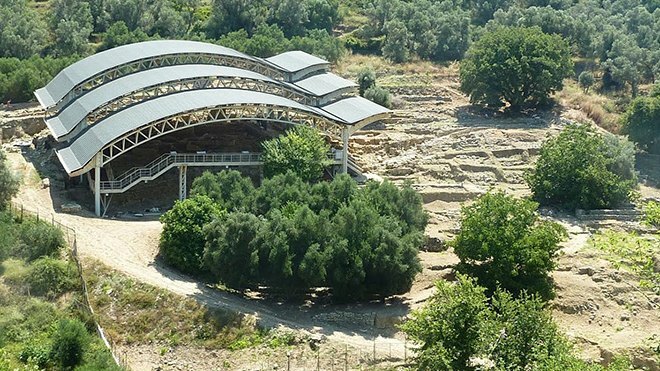 Ancient Eleftherna is the most important archaeological site of Rethymno. The city of Eleftherna founded by the Dorians around the 9th century BC and inhabited up to the early Byzantine years. The importance of Eleftherna led to the creation of Eleftherna Archaeological Museum to host the findings from the excavations. The excavations have revealed figurines of the Geometric, Classical and Hellenistic period, as well as the famous necropolis of Eleftherna, in the location Orthi Petra. Due to the many artifacts discovered there, Necropolis has become the most important part of Eleftherna. Here, was also discovered a huge tomb of warriors with 480 ceramic pots and guns. The importance of Eleftherna as archaeological site led to the decision to create a museum next to the site. In addition to the Roman cisterns and the Necropolis, do not forget to visit the ruins of the fortress Tower at the entrance of the ancient city. This Tower was a pre-Roman structure, made for the protection of the city. The Tower was built with square stones externally and small stones internally. According to another version of the history, the Tower was built in the medieval period. After five hours of hiking through beautiful valleys, hills, antiquities, olive groves, traditional villages and settlements, this part of the E4 Rethymnon path ends in the picturesque village of Margarites. The village is built on a hill and dominates the region. Most of the old mansions are still preserved and are among the finest samples of medieval rural architecture. You will see traditional stone houses with arches, arched windows, carved lintels on the doors, coats of arms and turrets. 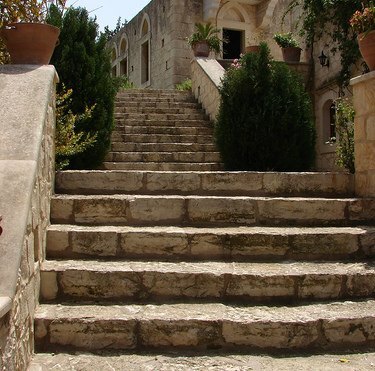 In the villages of the surrounding area, you will find many Byzantine churches, picturesque chapels and cave temples. 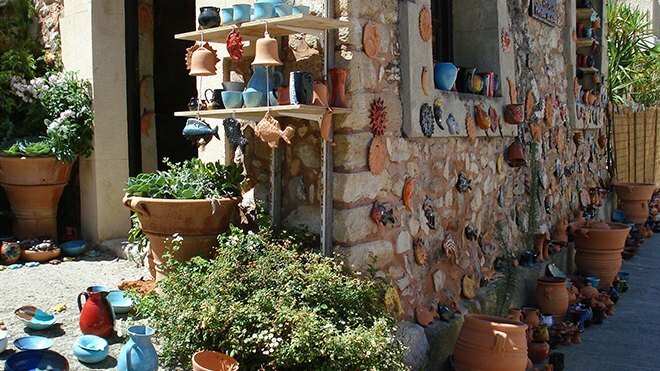 The craftsmen of the village continue the ancient art of Cretan pottery and mold excellent ceramic handicrafts, such as jars, jugs and various other small carvings. 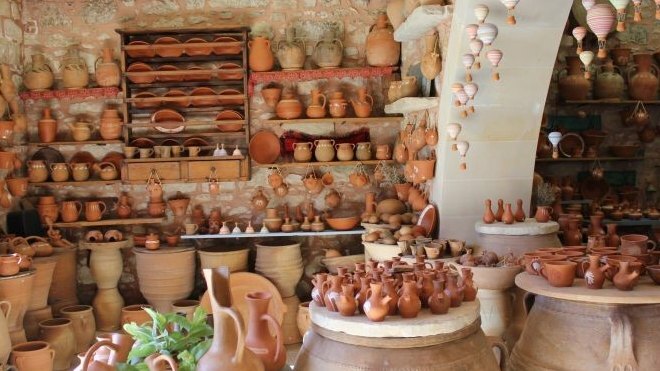 Those creations prove the craft and historical tradition of the village, which, along with “Thrapsano” are the biggest pottery centers in Crete. That’s why they were popular as the “villages of jars”. 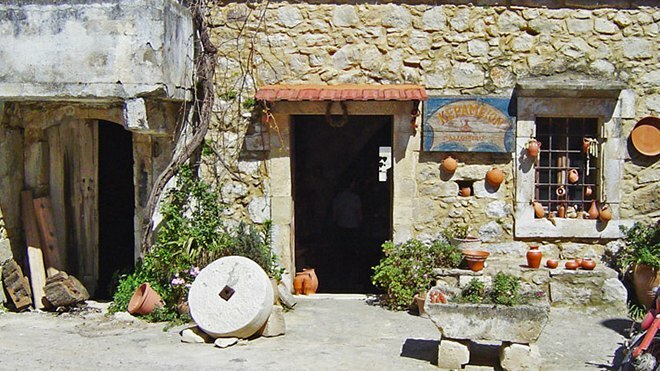 Margarites village still retains the old Cretan hospitality, so get ready to be treated exceptional Cretan delicacies combined with a shot of the famous Cretan raki: the best way to finish this wonderful hiking route of the E4 Rethymnon path. For even more hiking routes, places to visit, thinks to do and popular beaches throughout Crete, check out our Cretico blog, the best guide for your holidays in Crete. Cretico, created by a group of local travel experts, offers a great variety of luxury and traditional villas with private pool in all regions of Crete. 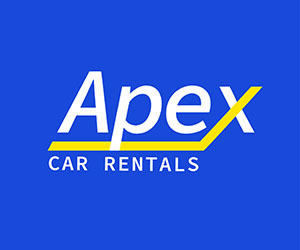 Follow Cretico on Facebook or Twitter.